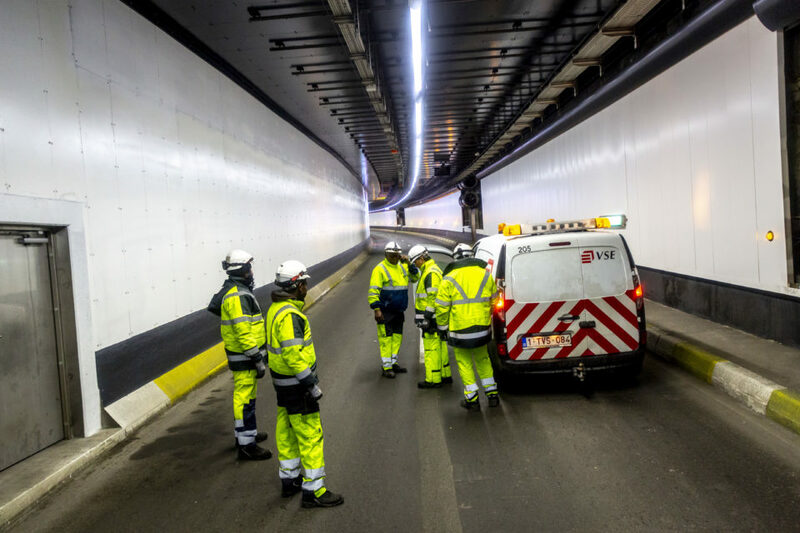 The Brussels Region has just set new safety standards and operating conditions for its tunnels. A dedicated evaluation committee will have to vet the operating licences every six years. The new ruling also transposes the minimum European safety requirements for 500 m long tunnels at the Brussels level. Ever since some pieces of concrete fell down back in 2016, Brussels has experienced a tunnel crisis. A thorough inspection of all the infrastructures revealed a serious lack of maintenance and, more worryingly, an investment deficit for the construction dating back to 1989. The Stephanie tunnel was immediately closed. It only reopened two years later after some major repair works. Three years ago, Brussels Mobility Minister, Pascal Smet (s.pa), created a specific multi-year investment plan (PPI). 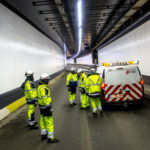 It detailed the emergency measures and major renovations needed for the 26 tunnels in Brussels. Spreading on four years (2016-2020), it was set at 411 million euro. With that shameful crisis coming to an end, the government now aims at setting in stone the new safety and maintenance standards. Brussels has, rather simply but cleverly, transposed the European safety requirements for tunnels longer than 500 meters to its own (mostly shorter) infrastructure. In the future, any operation will have to go through a specific procedure. First, Brussels Mobility will open a ‘safety dossier’ with a risk analysis. It will be examined by an independent expert and transmitted to the tunnel security officer. After that, the dossier will arrive in the hands of an evaluation committee composed of the fire brigade, the police, the Stib/Mivb and managers of other tunnels in Belgium. It is entrusted to give the government a simplified report with a positive or negative opinion. The operating licence will last six years and every major transformation will require renewal. Safety controls intervals can’t be longer than six years. Every incident or accident in a tunnel will require detailed reporting. The objective is for the government to know everything that happens in the tunnels, unlike in the past. “In the future, it will be impossible for the authorities to say they weren’t aware of something happening with the tunnels”, ensures Pascal Smet. The Mobility Minister wants to correct the errors of the past.